The following is a conversation I have frequently with patients in the 28 years I have been in practice. The point of sharing this conversation is there are only 3 main structures of the body that cause pain. Skin There are a lot of nerve endings in skin. This is why burns are probably the most painful condition you can have. Muscles There are also a lot of nerve endings in muscles. Nerves This would be the shooting pain down your arm or sciatic pain down your leg. It would also include numbness and tingling. The structure that is not on that list is your joints. Joints usually are not the painful structure but joints that do not properly move cause muscles to be overworked and that can cause pain. There is also another reason for pain that is very common. It is not a structure but a process. That process is inflammation. To add more complexity, there is no law that says you can’t have more than one of these causes for pain at the same time. This is where the doctor’s experience can make a big difference. This includes the ability to see the patterns of the body as it heals. As a doctor of chiropractic with over 25 years of clinical practice I have that experience. 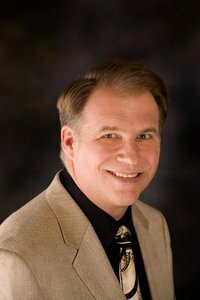 I am "Dr. Steve" Robillard and I am committed to helping you. It is my privilege to share information with you that will help you improve your health by giving you an understanding of how the newest information and procedures impact you and your family's health.